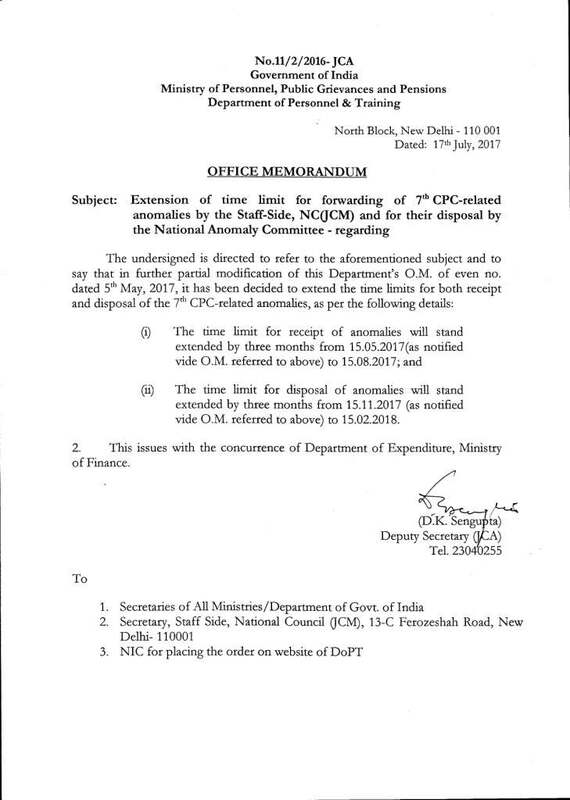 (ii) The time limit for disposal of anomalies will stand extended by three months from 15.11.2017 (as notified vide O.M. referred to above) to 15.02.2018. 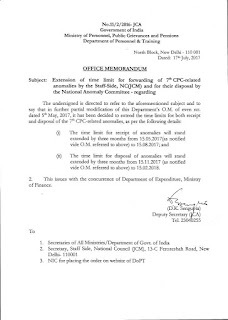 What about promotional hierarchical issues in respect of LDCs, UDCs and Assistants, Stenographers in attached offices of Ministries/ Departments of Government of India.